As much as I love to photograph and explore dead malls, I love the golden age of shopping even more. 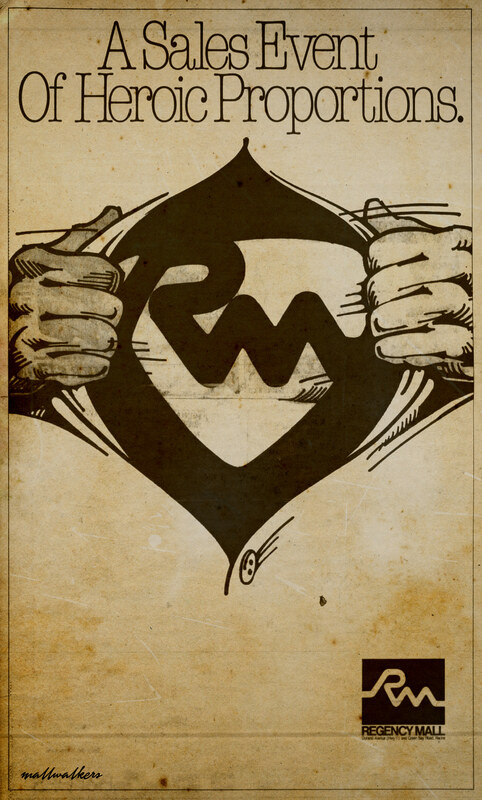 Who wouldn’t want to go back and experience those days just one more time? 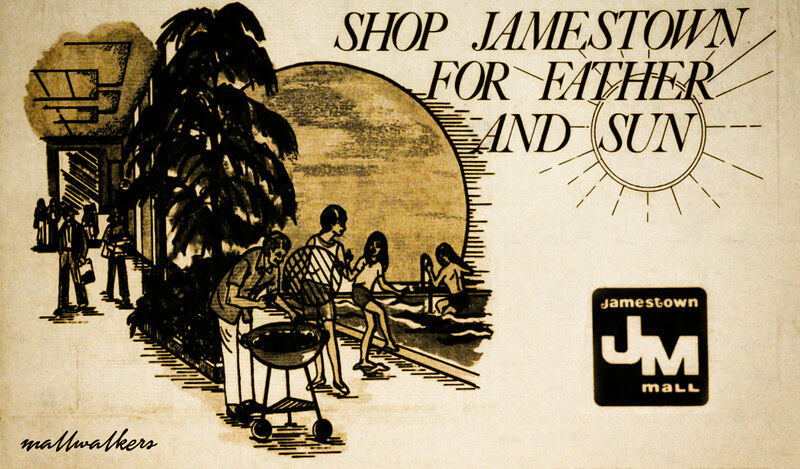 The following is a collection of advertising from some great old malls when times were better. I hope you enjoy. 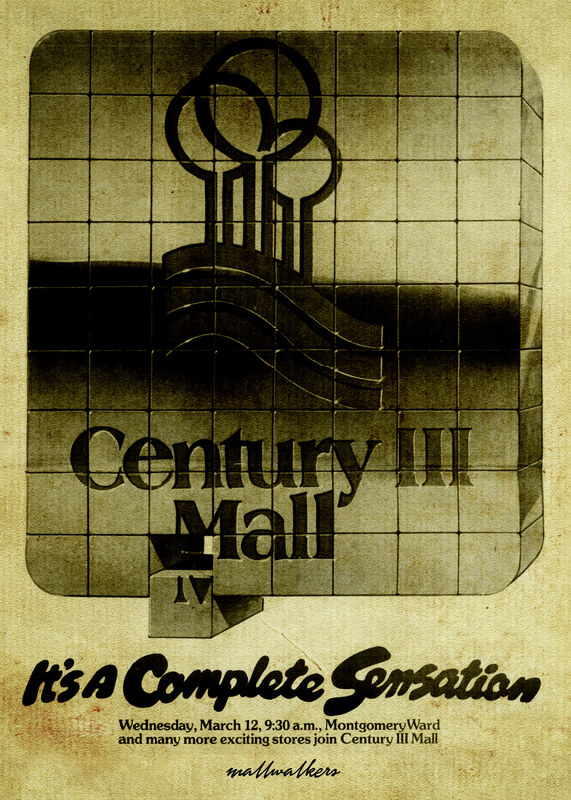 By 1980 the pieces were all starting to come together for Century III Mall. A brand new anchor, Montgomery Ward, was opening as well as the completion of phase two of the mall project which included the addition of over 40 new retail stores. Fast forward to 2018 and it’s completely fallen apart for for this once great mall. Today, only JCPenney remains as the lone anchor along with a small handful of stores. With a sale of the property looming this wonderful old malls days are certainly numbered. Romig Road in Akron, Ohio is a desolate area full of broken dreams, shuttered shopping centers, closed restaurants and a field where Rolling Acres Mall once stood proudly, but it wasn’t always that way. 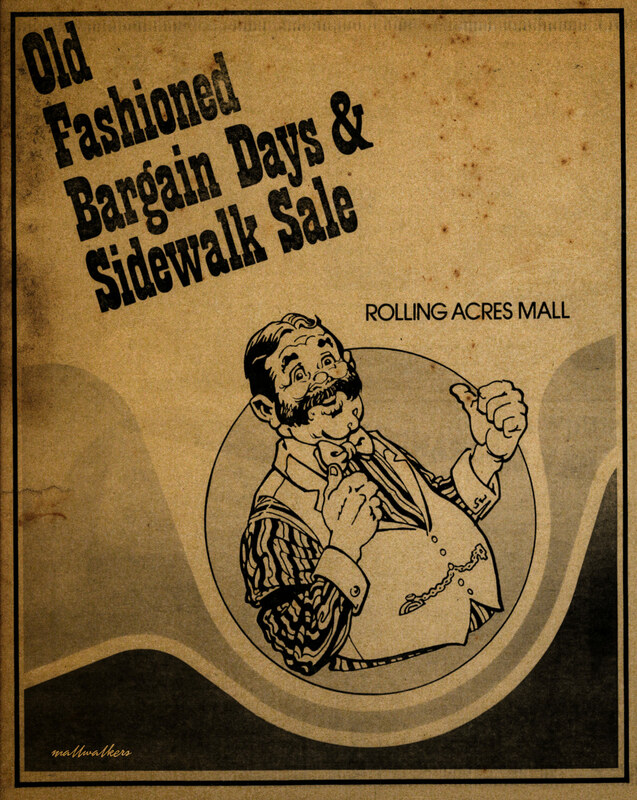 Back in 1980 Romig Road was in the height of its golden age and the mall had themed shopping events such as this “Old Fashioned Days” which drew the likes of The Budweiser Clydesdales and a giant Barrel House that was brought into the mall for shoppers to view and enjoy. Be sure and check out our previous articles for more on Rolling Acres Mall, including a 2003 video walk through. Summertime 1979. Fun times, a Fathers Day picnic, and of course, shopping at Jamestown Mall. Sounds like a wonderful time to be alive, or at least that’s how this illustration makes it look. Times have certainly changed haven’t they? Deemed no longer a viable location for a shopping mall in 2009, Jamestown Mall finally closed its doors for good in 2014. 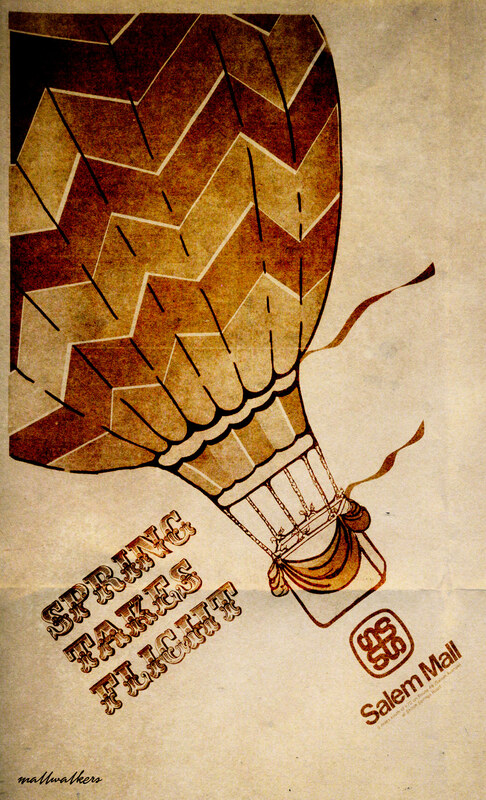 As Dayton, Ohio’s first enclosed shopping center, Salem Mall was charged with excitement and flying high in the spring of 1982. Sadly this flight would come to a devastating crash and Salem Mall would close for good in 2005. Mostly demolished and forgotten, all that remains today is the empty shell of the former Sears store. Described by current management as a failed mall, Regency Mall in Racine, Wisconsin is easily the least “dead mall” of any on this list. However, after recently losing yet another major anchor in The Boston Store during the Bon-Ton closings, this mall is in desperate needs of a hero if it is to stay alive much longer.